You are here: Home / FAQ's, Acronym’s, & Terminology / FAQ: Do I need to change my HVAC filter monthly? Do I need to change it out every month & if I don’t what will happen? I don’t use my HVAC unit that often, do I still need to change it? I have pets, should I change it out more often? I saw this piece by Martin Holliday where he blasted the notion that this helps, whose right? The answer like many things is, it depends. For most homeowners the answer is a qualified yes, one should change the air filter for their forced air systems probably every month. With that it actually depends on use, the system, and the environmental conditions. Use: Most manufacturers recommend that the filters be changed out after two or three hundred hours of use which roughly averages out to once a month. During the really hot or cold months, this could actually mean one should change it out more often while during the “shoulder” months it might be two or months before it hits the “recommended” mark. This has actually led many programmable thermostat makers to include a 250 hour countdown so your display will show when it is needed. The System & the Environmental caveats: If you happen to have a specialty filter where the manufacturer designed & recommended a different change / clean out schedule, that would be a good starting point. With that there are a few caveats which apply to all systems. 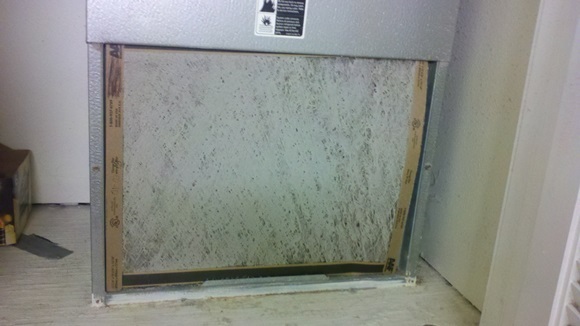 The first actually involves the system & how leaky the ducts are – if they are leaky & pulling air from other locations (like the attic or crawl space) you may be pulling in all sorts of dirt & other items which not only makes your house dustier, but also will clog up the filters sooner requiring more periodic changes & or cleanings. The second one involves how many pets & other people live in the house. How much do the pets shed, how active are the kids & pets (e.g. do they play outside allot?) The more “containments” brought in or produced can increase how often one should change out the filter. The best thing to do is consider all the factors at play, and check the filter at least monthly (yes even the 6 months ones) and change or clean them out as needed. For most this check only needs to be done monthly, while in others you might want to do it every few weeks or letting it slide to every three months. No matter which schedule you go with, make sure you mark it down so you don’t forget. So what happens if you simply miss the mark by a few days? In most cases you won’t notice any issues as a little dirt or clogging isn’t going to effect the performance very much. This has led many like Martin Holliday (link above) to blast this advice as not being necessary as it relates to saving energy. While it is true that there hasn’t been any studies or conclusive proof that changing a filter or doing the required maintenance (which is required if you wish to maintain your warranty) will save you any money, it is still a good habit to check & change out your filters regularly. So what does happen if you let your filter go to long like the one pictured below which made one of our Wacky Wednesday posts? Well in technical terms you increase the static pressure the unit is exposed to, or in layman’s terms – you make the unit work much harder than it was designed to causing it to eventually stroke out. For most homeowners it ends with a sheepish grin when the technician comes out to fix your air conditioner or furnace that just stopped working for no reason. In other cases you end up blowing a compressor & or end up dealing with a very frozen & dirty coil. Hmmm, penny wise but pound foolish comes to mind.